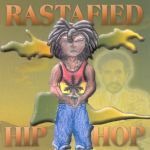 Rastafied Hip Hop is the initial compilation released by the St. Thomas label Splatter House Records. This CD features Jahman, Star Lion Family and numerous other artists chanting over some alternative riddims. Jahman & Star Lion - Reach From Within 7. Ickarus & Jahman - Street Side 8. Prophecidahl - Ghetto Youths Dem 9. Dane-Jah - Holla, Holla 10. Young Blood - Die No More 11. Rafijah & Ickarus - Hey Muchacha 12.